Adult male Spotted Wing Drosophila. Impacts ripening fruit in the early stages of development. May move from one crop to another as season progresses. Populations can damage several different varieties of ripening fruit during a single growing season. Damage first appears as near-microscopic scars on the fruit surface left by “stinging” (ovipositing) females laying eggs. Spotted Wing Drosophila (SWD) larvae hatch and begin feeding on the inside of fruit. Fruit begins to collapse around the feeding site with soft depressions appearing on some fruits. Mold and infestation by secondary pests may contribute to further damage. SWD can be easily trapped in “McPhail”-type traps, bell-shaped traps baited with torula yeast and borax pellets dissolved in water. Other traps used to detect and control Tephritidae fruit flies also may be used to trap SWD. Watch this video where Dr. Rufus Isaacs of Michigan State Univesity explains how to monitor for SWD. Growers are encouraged to conduct their own detection activities and report their findings to their local Cooperative Extension Service office. If SWD are detected, treat crop with registered insecticide. Check with your local Cooperative Extension Service office for insecticides registered for use in your area. Rotate chemistries with different resistance management groups. Evaluate your management program by monitoring for presence of flies with traps. Sample fruit for larval infestation using fruit-dunk flotation method. Destroy leftover fruit on the plant or fruit that falls on the ground when practical to reduce fly’s breeding site and food supply. Consider post-harvest clean-up spray to reduce populations if SWD is captured post-harvest. To learn more, please contact one of the experts listed below, or your local county extension office. Contact information for all cooperative extension offices is available online from the USDA. USDA. Plant Protection and Quarantine March 2010. 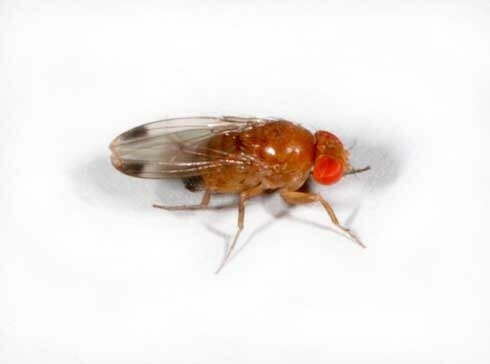 Pest Alert: Drosophila suzukii (Spotted Wing).